Patients with the rare blood disorders transfusion-dependent β-thalassemia (TDT) have shown spectacular results in clinical trials of bluebird bio’s gene therapy, raising hopes the treatment could be a cure for the condition. The Cambridge, Mass-based biotech has just published results from two trials of its LentiGlobin gene therapy in the New England Journal of Medicine, showing the single dose treatment could free patients of the disease and the need for regular blood transfusions for over two years. The Northstar study found 12 out 13 patients with non-β0/β0 genotypes stopped receiving blood transfusions, with a median time since last transfusion of 27 months. A further nine patients with the harder-to-treat β0/β0 genotype saw their median transfusion volume decrease by 73% and red blood cell (RBC) transfusions were stopped in three patients. The second study, named HGB-205, is still ongoing and includes patients with TDT and severe sickle cell disease (SCD), a similar condition with great unmet medical need. Taken together, the two studies show a majority of the 22 patients in the two Phase 1/2 studies followed for two years or longer remained free from transfusions. While researchers are cautious to not talk of a ‘cure’ the results are hugely encouraging, and could confirm bluebird bio’s place in an advance guard of companies pioneering therapies which can transform the treatment of genetic diseases. 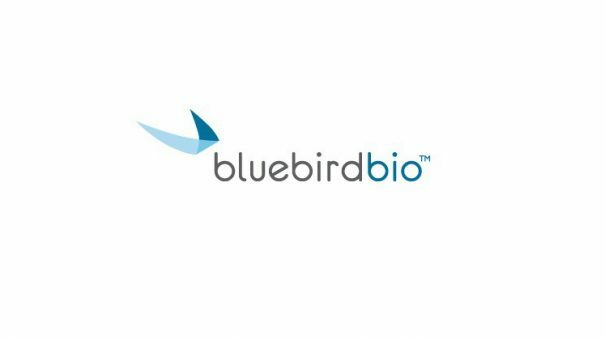 “These interim data demonstrate the potential of LentiGlobin gene therapy to address the underlying genetic cause of TDT and increase production of functional red blood cells,” said Dave Davidson, M.D., chief medical officer, bluebird bio. “Nearly all patients in the two studies with a non-β0/β0 genotype achieved freedom from chronic blood transfusions and, importantly, several of these patients reached normal or near-normal total haemoglobin levels and sustained those levels throughout the interim study period. TDT is a severe genetic disease characterised by reduced or absent haemoglobin levels that results in severe anemia and ineffective red blood cell production. Supportive care for people with the condition consists of a lifelong regimen of chronic blood transfusions to enable survival and suppress symptoms of the disease. Iron chelation therapy is also needed to manage iron overload that results from the transfusions. Despite the availability of supportive care, many people with TDT experience serious complications and organ damage due to underlying disease and iron overload. Allogeneic hematopoietic stem cell transplantation (HSCT) is currently the only option to address the underlying genetic cause of TDT, but this carries significant risks. Complications of allogeneic HSCT include a risk of treatment-related mortality, graft failure, graft versus host disease (GvHD) and opportunistic infections, particularly in patients who undergo non-sibling matched allogeneic HSCT. The company is choosing to file first in the European Union later this year, thanks to the EMA’s ‘adaptive pathway’ process, which the company sees as more favourable than the US. Treatment with LentiGlobin requires an autologous stem cell transplant. The company says the safety profile of LentiGlobin has been consistent with myeloablative conditioning with the chemotherapy agent busulfan. The studies also showed no serious adverse events linked to the treatment, and five mild adverse events thought to be caused by the therapy in the Northstar trial. The news is a major boost for bluebird, which is facing strong competition in other cell and gene therapy fields it is active in, most notably CAR-T drugs. 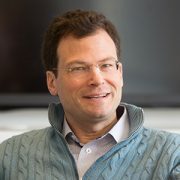 The company, led by CEO Nick Leschly, has been collaborating with Celgene on CAR-Ts since 2013, and recently signed a deal to co-develop and co-promote an anti-BCMA CAR-T treatment, bb2121, for multiple myeloma. It also has in its pipeline another lentiviral gene therapy in its pipeline for the ultra-rare disease called cerebral adrenoleukodystrophy, which has also shown very promising results in early trials. 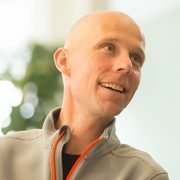 The new results from LentiGlobin are very encouraging for the company, but if and when it gains approval, bluebird will face challenges of making its groundbreaking therapy commercially viable – problems already being faced by other gene therapy pioneers such as uniQuire, Spark Therapeutics and GSK, which just sold off its gene therapy to Orchard Therapeutics. Analysts are confident, however, that bluebird bio could have as many as three blockbuster products on its hands, with some forecasts for LentiGlobin predicting $1billion + across thalassemia and sickle cell disease.